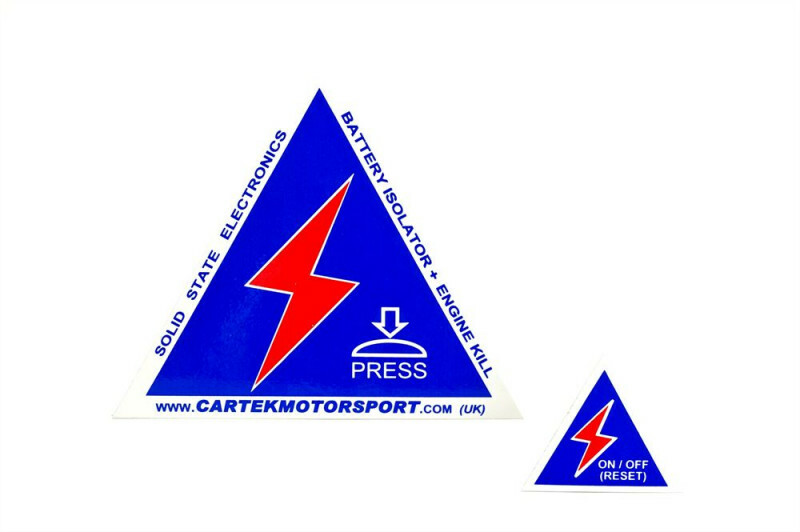 The Cartek Motorsport GT Battery Isolator is a very small and highly reliable alternative to the traditional mechanical master-switch.  The unit has been designed to overcome all of the problems and restrictions associated with mechanical and electro/mechanical safety cut-outs. 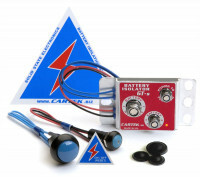 When fitted to a race car this solid state battery isolator simultaneously isolates the battery and kills the engine immediately when triggered in accordance with FIA safety regulations. 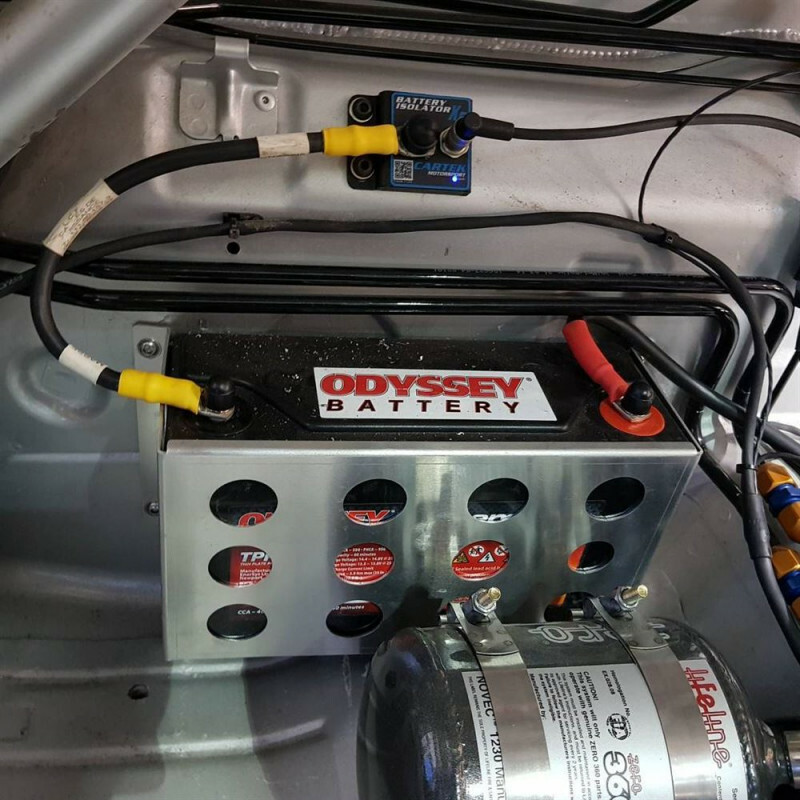 Battery Isolators work by being fitted in between the negative side of the battery and the chassis. 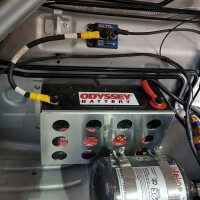 When the external kill button has been activated or the internal button been switched to the off state, then the Battery Isolator will disconnect the negative side of the battery from the Chassis. 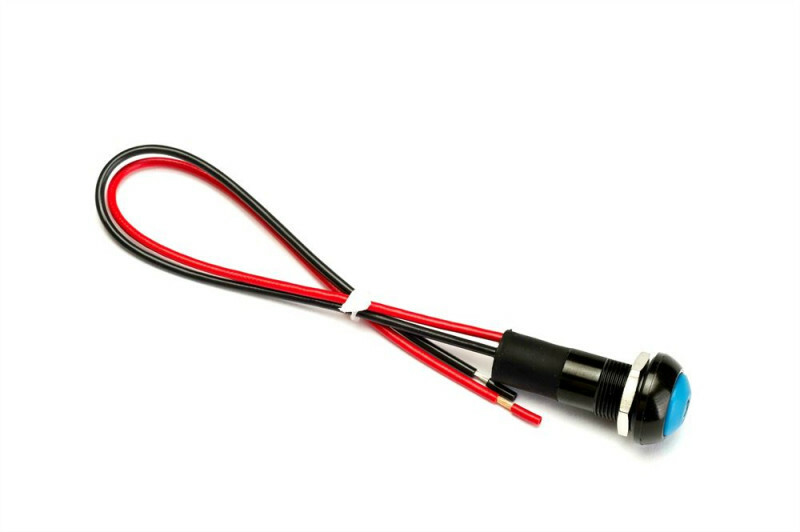 This means that no power can get to any of the electrical circuits as there is a break in the circuit. 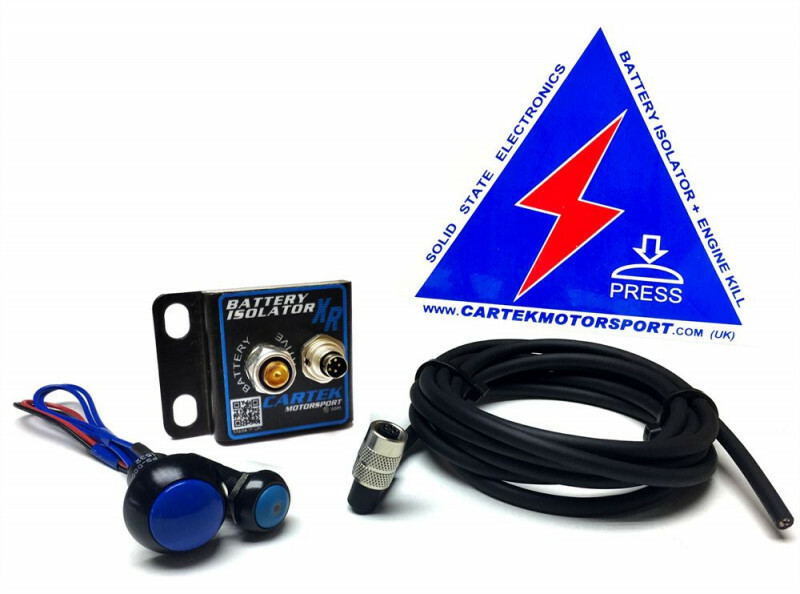 Battery negative terminal M8 stud.